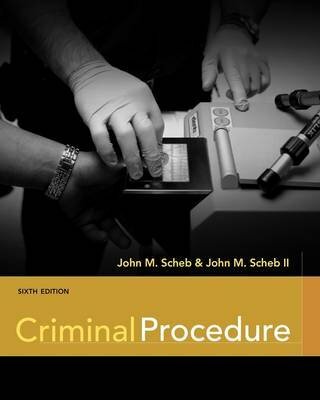 Clear and accessible, CRIMINAL PROCEDURE, Sixth Edition, is packed with current cases and real-world examples. Extremely student friendly, the text couples a classic organization and traditional presentation of case law with cutting-edge coverage of recent trends in law and procedure. The authors' combined academic and practical legal experience gives you firsthand insights into the American legal system. Utilizing extensive case material, the text covers the historical background of criminal procedure and includes the latest Supreme Court decisions and other developments in criminal justice today. This is one of two updated "splits" of the combined CRIMINAL LAW AND PROCEDURE, Seventh Edition (c. 2011), by the same authors.